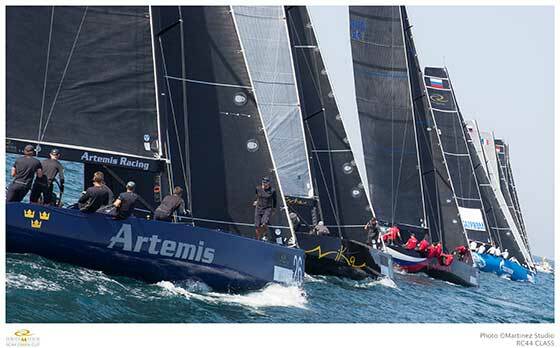 A photographic competition has been launched by Yachting Events Limited to celebrate the start of the first edition of the RC44 Valletta Cup to be held between the 25th and 29th March. Entitled ‘Wind in their Sails" the competition will be judged by a panel of three renowned professional photographers. The chosen panel, made up of Kurt Arrigo, Nico Martinez and Rene Rossignaud have been tasked to not only evaluate the photographic capability of entrants but also to identify who best captured the nature of sailing by visually communicating the power, grace and beauty of the sea. The competition is open to both amateur and professional photographers and each entrant can submit up to a maximum of three entries. In order to ensure that there is no bias only photographs taken from view points accessible to the general public will be accepted. All entrants will go through a preliminary round, from which ten finalists will be chosen to attend the RC44 Valletta Cup Prize Giving Ceremony on Sunday 29th March at 16:30hrs. The final three winners will be announced on Tuesday 31st March. The lucky winners will be given the opportunity of photography courses by leading photographer Rene Rossignaud as well as copies of his book Rene Rossignaud - The First Thirteen years. Other prizes include exclusive RC44 Valletta Cup merchandise as well as a copy of renowned award winning photographer Kurt Arrigo's book - Malta A Coastal Journey. All those wishing to take part in this competition can enter as many as three digital photographs, in colour or black and white, and in JPG format. Entries are to be submitted via email to pr@yachtingevents.com.mt by not later than noon on Sunday 29th March. Organised by Yachting Events Ltd., co-hosted by the Ministry for Economy, Industry and Small Business and supported by the Malta Tourism Authority and Transport Malta, the RC44 Valletta Cup will host an impressive mix of America's Cup veterans and Olympic Medallists teamed up with top class international businessmen for the first time in Malta to produce some exciting racing in our waters.